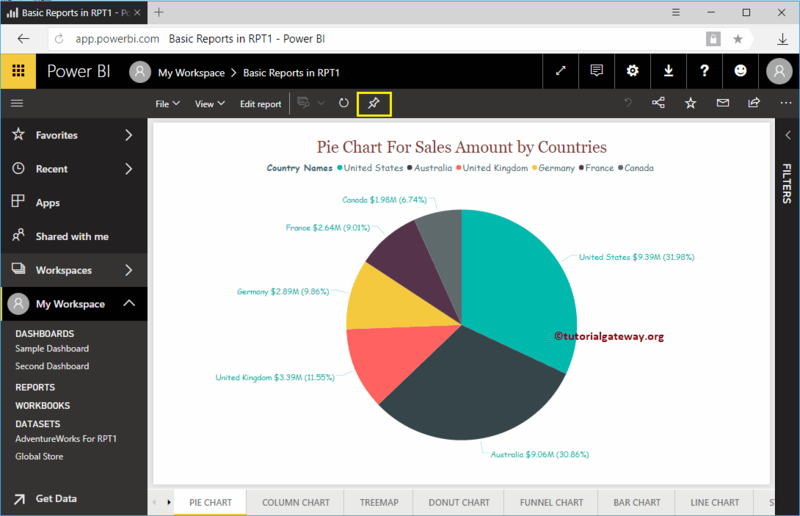 In this article, we will show you, How to add reports to Power BI dashboard with practical example. 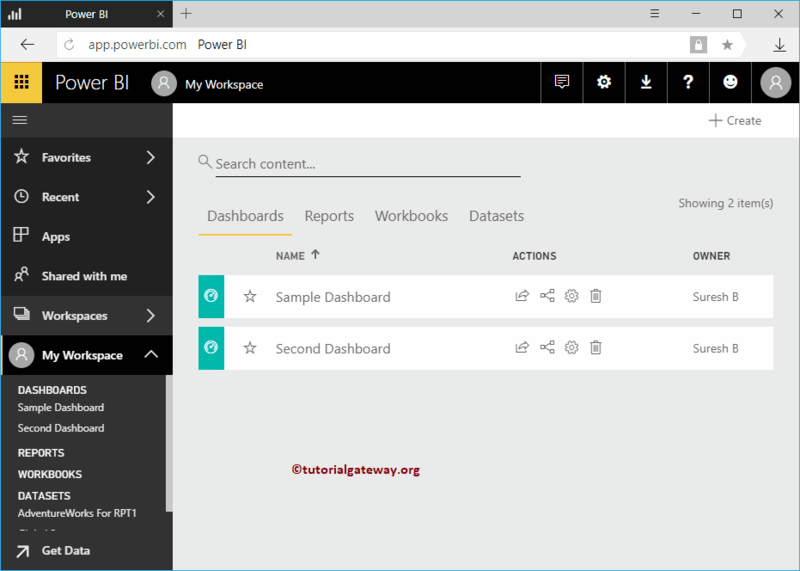 Before we get into the actual steps, let me show you the dashboards that are available in my workspace. 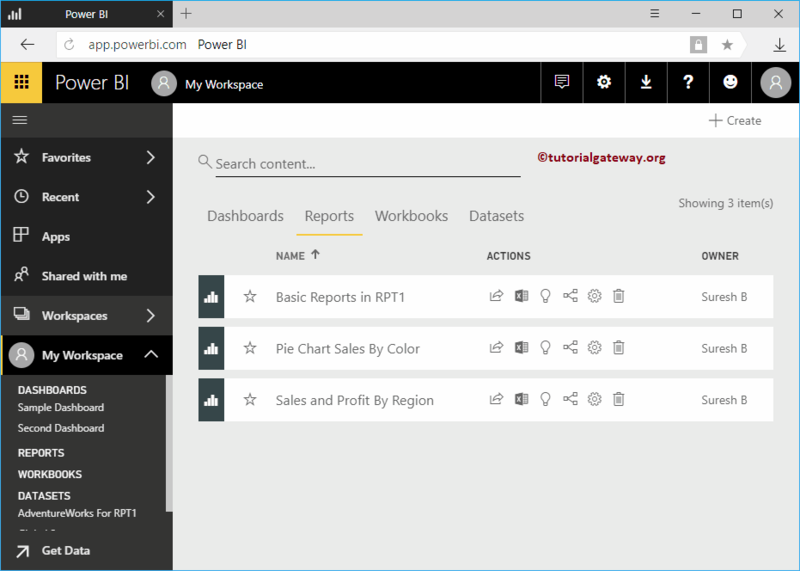 TIP: I suggest you to refer Create a Power BI Dashboard article to understand the steps involved in creating a dashboard. 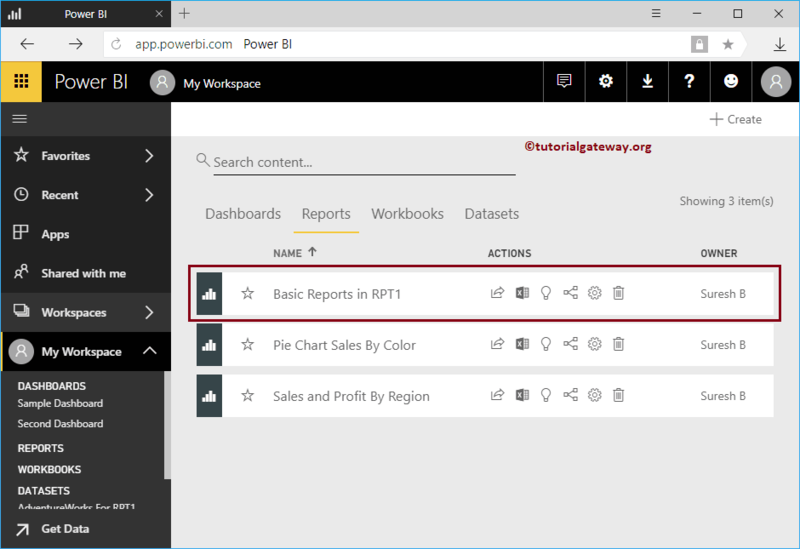 Navigate yourself to see the list of available reports inside your workspace. 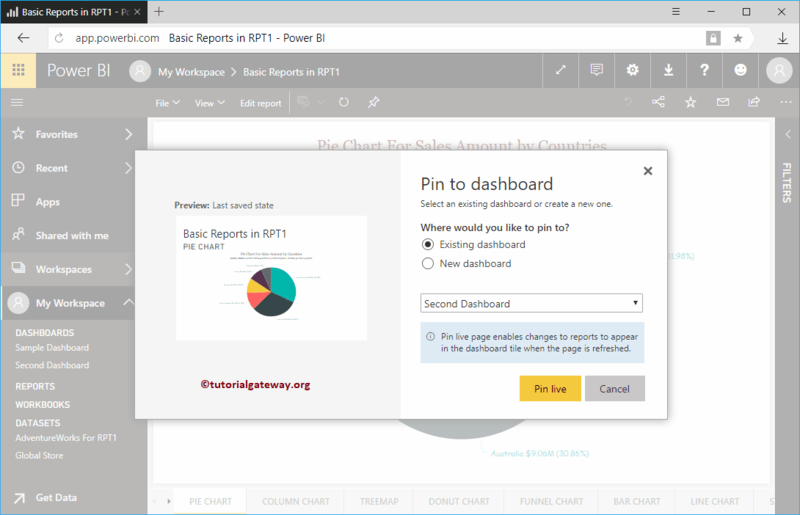 In this example, we are going to use the Basic reports in RPT 1 report. So, click on this report to see the pages available in this report. Now you can see the pages inside the selected report. Let me add this Pie Chart to our dashboard. Clicking that button will open the following window. Preview: This will show you the preview of the selected report. 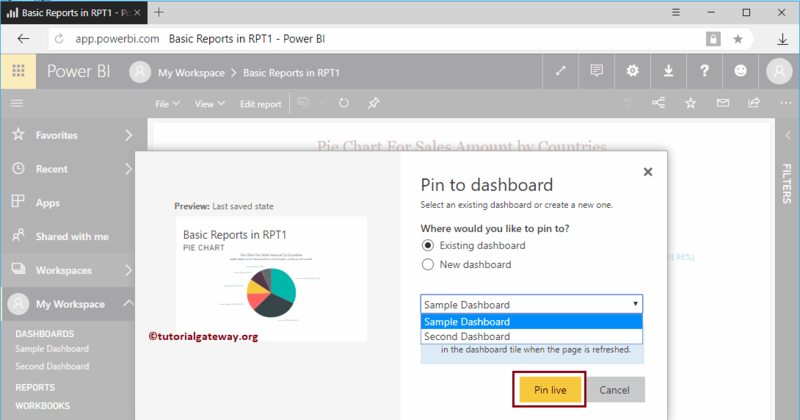 Existing dashboard: If you want to add this report to an existing dashboard then you have to select this option. 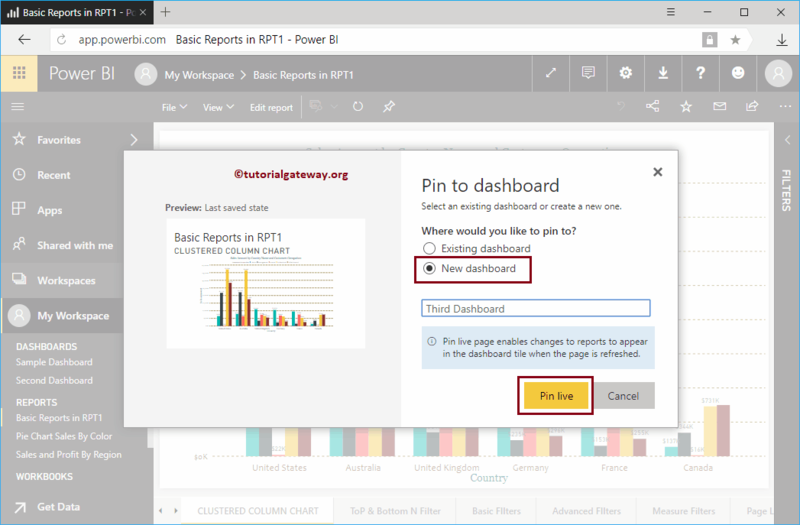 New Dashboard: If you want to create a new dashboard for this report then you have to select this option. 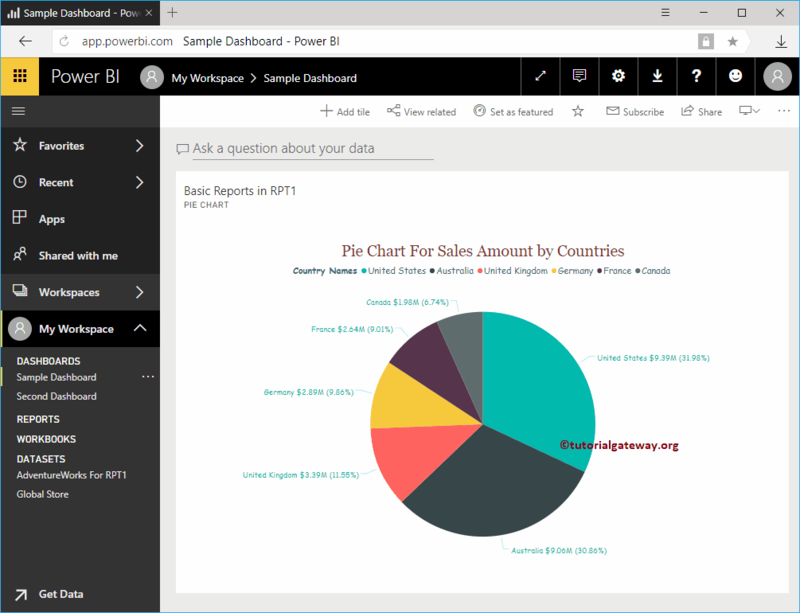 Drop down Menu: Use this drop down box to select the dashboard. 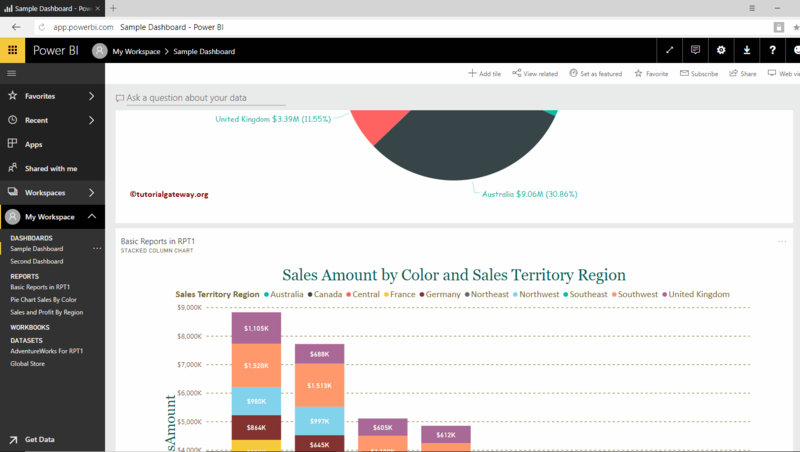 Similarly you can add multiple reports to a single dashboard. 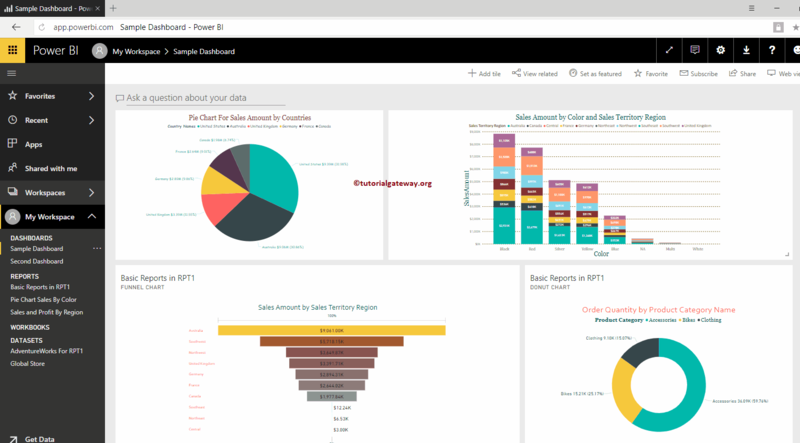 In this example, we are going to add reports to existing dashboard. 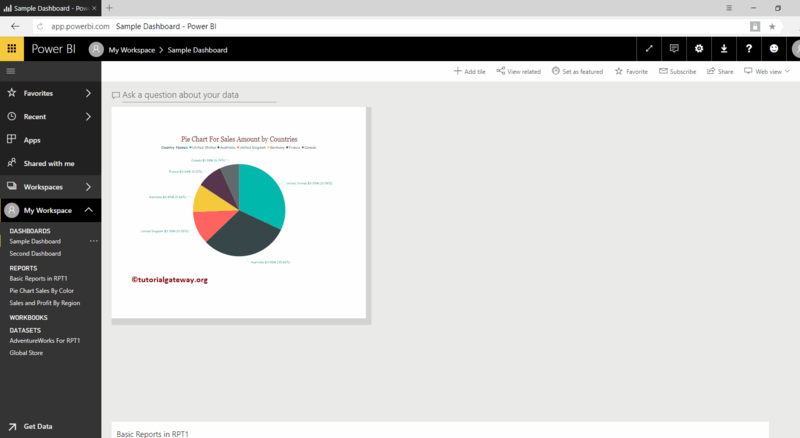 So, we are selecting the New dashboard option. This will replace the drop down box with text box. You have to provide your new dashboard name in this text box. 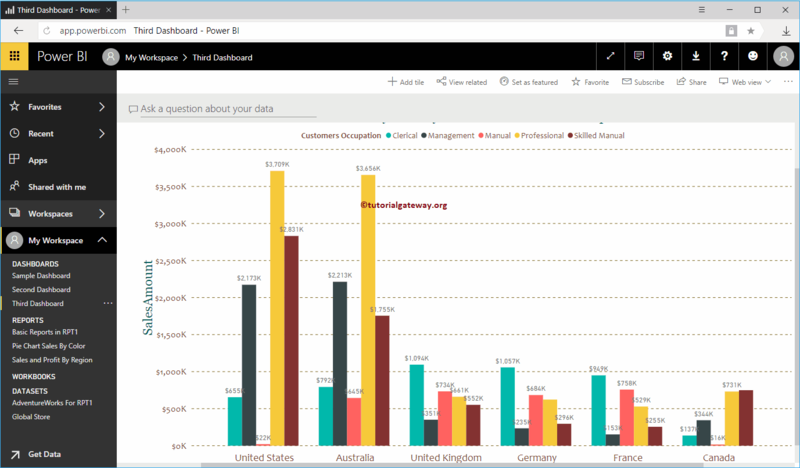 Now you can see the Clustered Column chart inside your third dashboard. Let me navigate to My Workspace -> and Dashboards tab to see the dashboards. 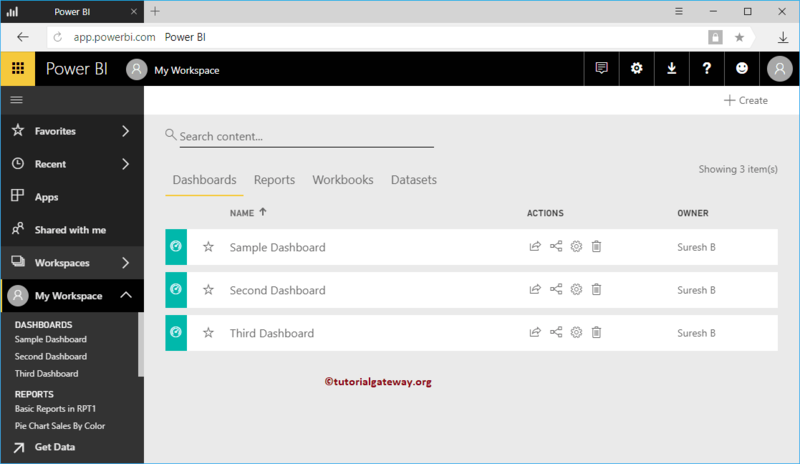 As you can see, it is displaying the Third Dashboard that we created earlier.